Xiaomi, the popular Chinese phone company has launched another X series phone, called Mi6X, the successor to Mi5X. 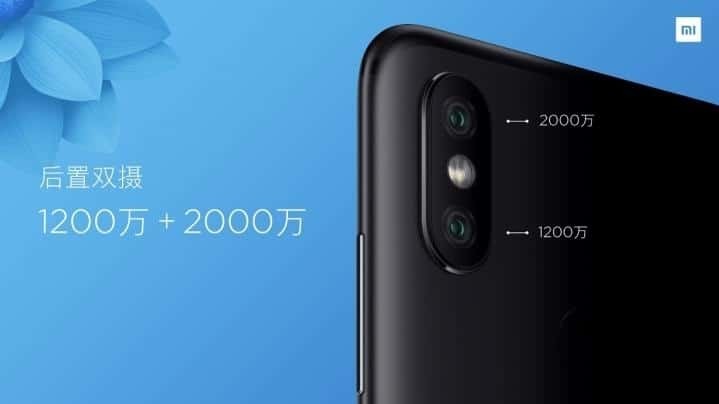 Outside China, the phone is popularly known as Mi A2. The difference remains only in the software version, Chinese one with MIUI and another with Android One OS. Mi6X comes with face unlock and Xiao Ai voice assistant. The phone has a dual rear camera and 20 MP front camera. Mi6X can also be termed a selfie focused affordable phone. 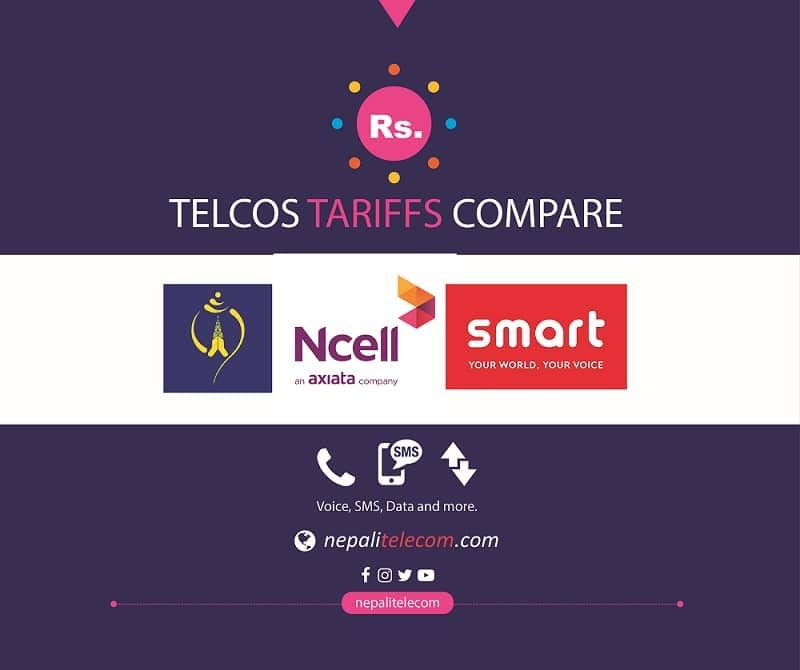 Find the price below. Mi6X is a 5.99 inch phone with 18:9 aspect ratio and 2160 × 1080 resolution. 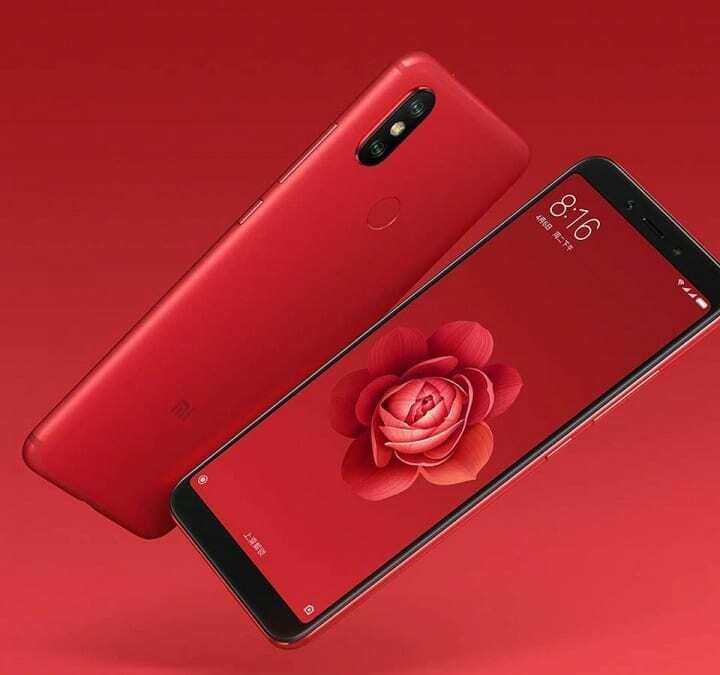 The phone is powered by Snapdragon 660 processor with two RAM and two Storage version, 4GB RAM / 64 GB storage and 6 GB/ 64 GB and 128 GB storage. The phone runs on MIUI 9.5 Skin over Android 8.1 Oreo for China, or runs on AOSP globally outside China. The metal phone has a rear fingerprint scanner and supports fast charging through Type C connection. In camera department, the phone has got dual rear camera with 12 MP + 20 MP shooter and 20 MP front shooter. The phone lacks 3.5mm Audio jack (due to 7.3 mm thickness), first in the affordable range so far known. The phone also uses AI to identify different objects and make a better photo using optimization. Face unlock is also possible through the front camera of the phone. Other features include AI beautification and AI night self timer. Snapdragon 660 processor with superior AI performance. Colors: Cherry Pink, Red Flame, Glacier Blue, Quicksand Gold, and Black Stone. The 4GB RAM version costs 1599 RMB ($285). Whereas the 6 GB version costs 1799 RMB ($285). Both of them have 64 GB on board storage. 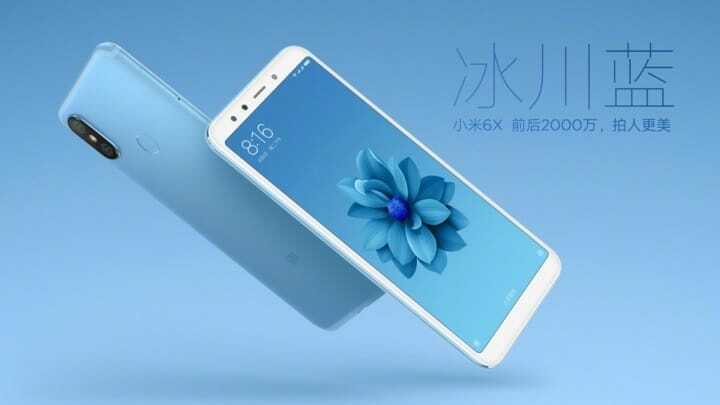 The highest end of the Mi6X 128 GB storage and 6 GB RAM costs 1999 RMB ($ 316). The phone is first available in China from April 27 and reach other countries in the name of Mi A2 soon.